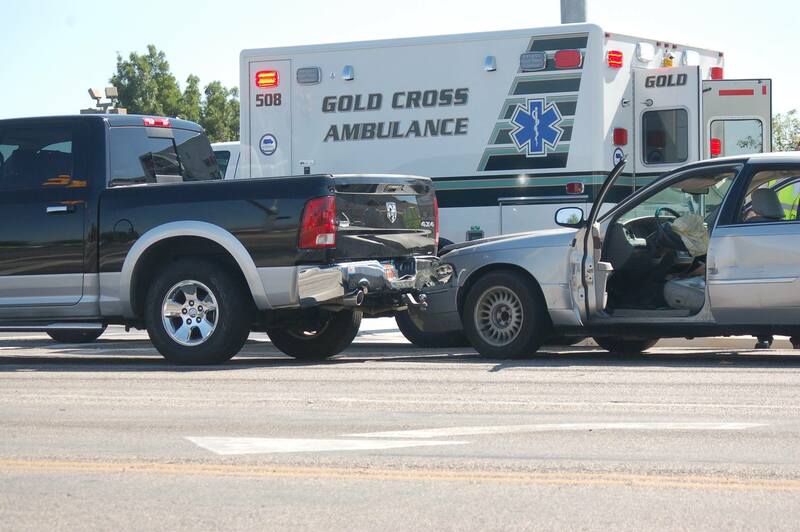 ST. GEORGE — Police arrested a man at the hospital where he had been transported after driving under the influence colliding with a truck stopped at a red light Friday morning. About 10:45 a.m. a Dodge truck was northbound on Dixie Drive, stopped at the stoplight at Sunset Boulevard when a Mercury automobile ran into the truck from behind, nearly pushing it into the intersection. . The driver of the Mercury was arrested for driving under the influence of a metabolite, St. George Police Sgt. Sam Despain said, adding that a metabolite means something other than alcohol. “There was something in this guy’s system that made him impaired to the point that he should not have been operating a vehicle,” Despain said. The Mercury driver was taken to Dixie Regional Medical Center by ambulance where he was arrested; his name has not been released pending booking. The Mercury had to be towed from the scene, while the truck had only minor damage and Wulff drove it away. 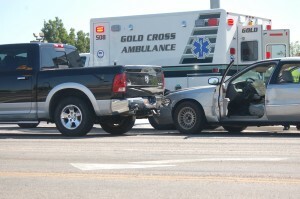 Traffic was slowed for about 45 minutes while the accident was investigated and cleaned up. Yet more comedy gold. This guy is comedic genius. Shut up stupid. “A major chaotic smash” said officer drama queen. Bottom line, one less jerk on the road to endanger innocent citizens.